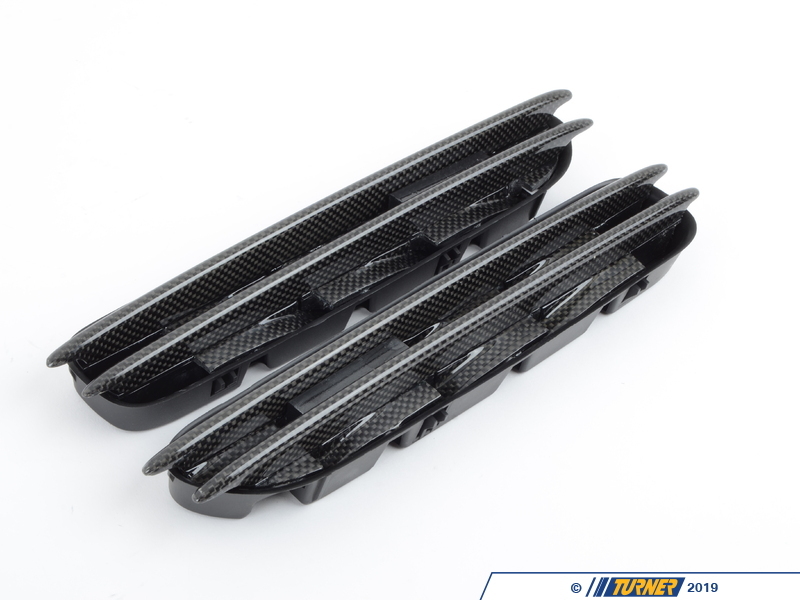 Replace the ordinary chrome side grills on your E60 M5 with cool carbon fiber! 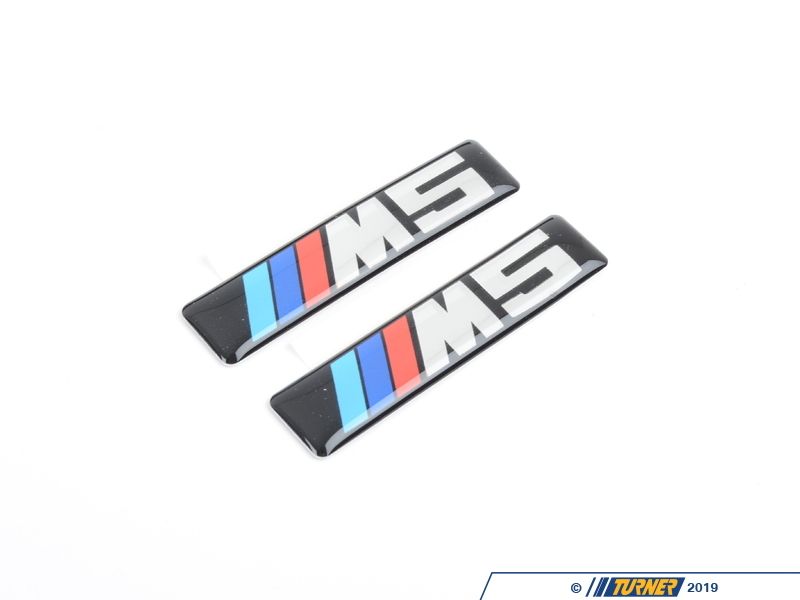 These directly replace the standard grills, are easy to install and include the Genuine BMW "M" logo. There isn't much chrome anyway on the M5, so it makes one wonder why BMW even used chrome for the fender grills (and hood grills). 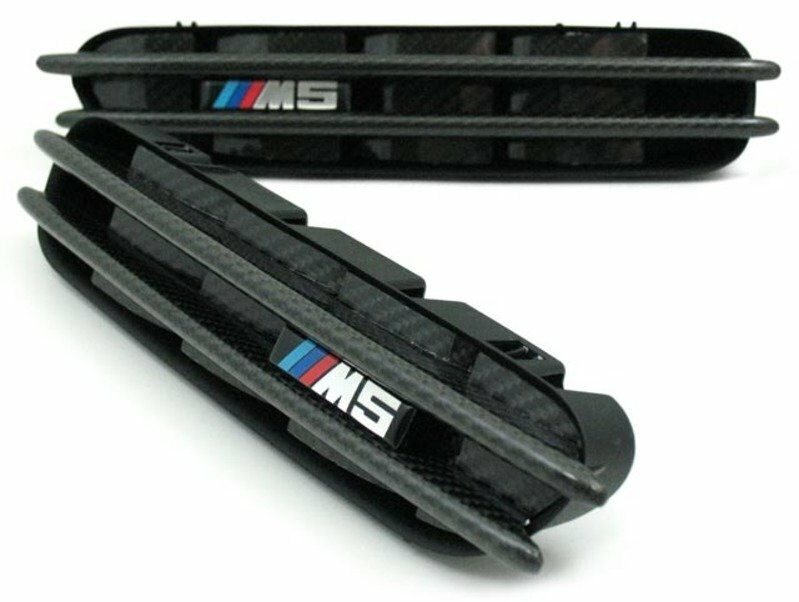 Black is also an option, but for those looking for that something extra to make their M5 "pop" over others. Carbon fiber is synonymous with high-tech in the automotive and racing world and the E60 M5 is the epitome of high tech in its era. 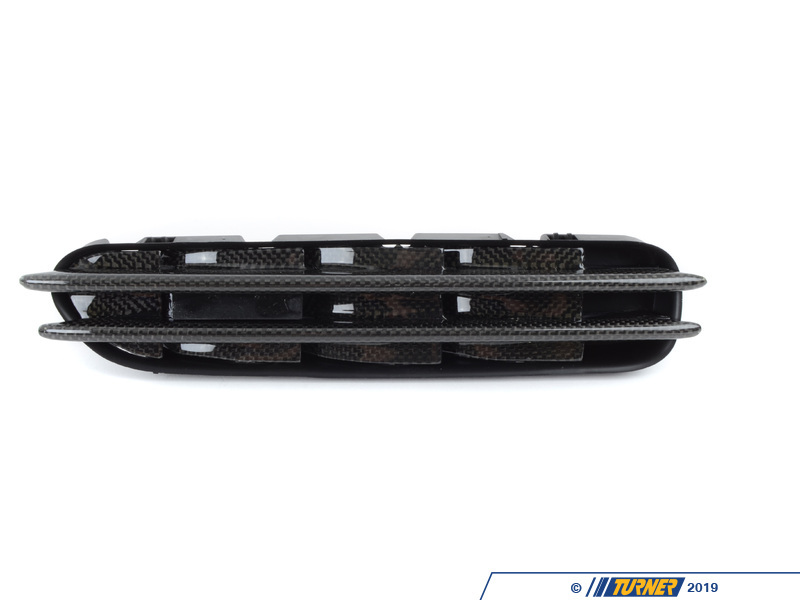 Carbon fiber was used more extensively on other special Motorsport and tuner models, including the E46 M3 CSL which had a carbon fiber roof and trunk. 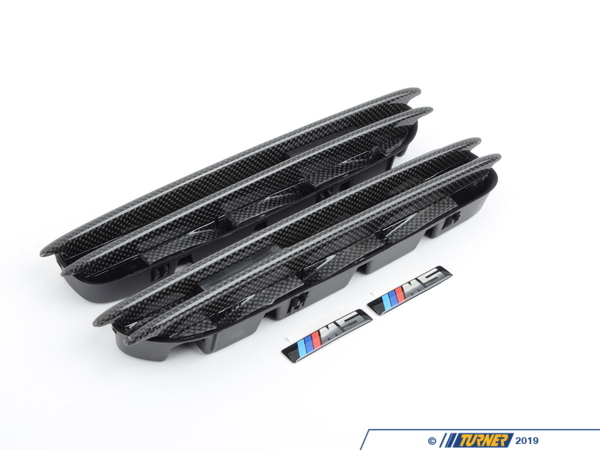 This set of carbon fiber fender grills is certainly right at home on the E60 M5. Includes one left carbon fender grill and one right carbon fender grill. 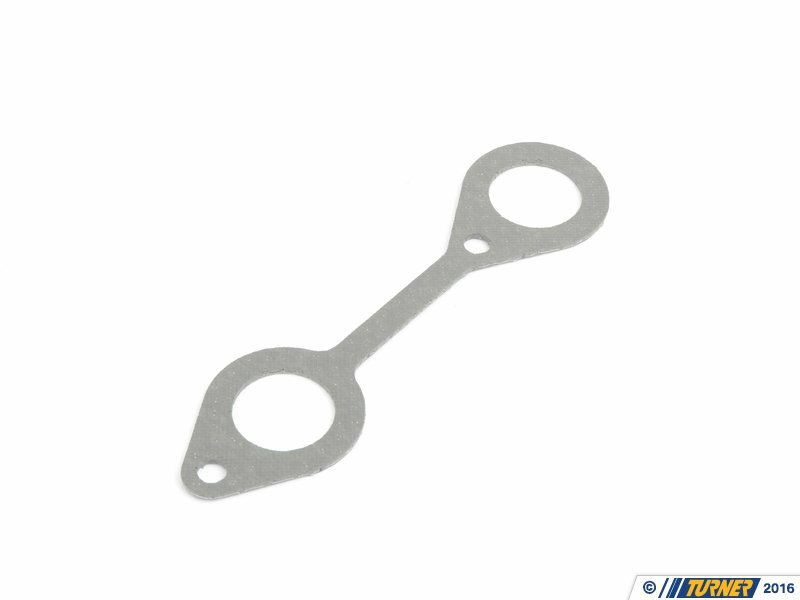 Installation is very simple and requires no special tools.